All Senses Festival is back for its second year, September 25-30th, 2018. 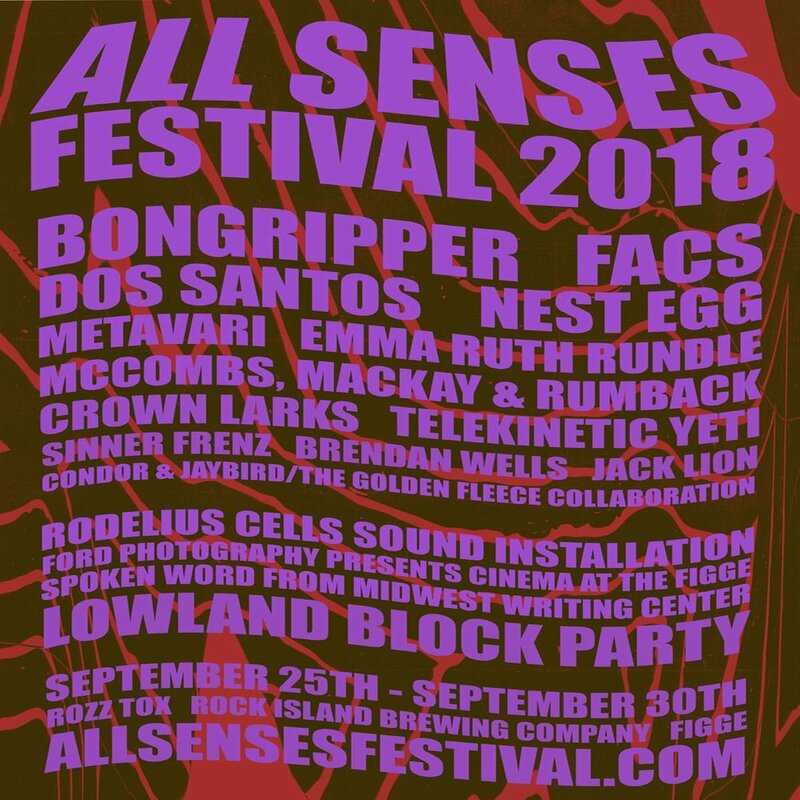 All Senses Festival is a collaboration of several ongoing artistic endeavors combined under one umbrella: music, spoken word, film, an antique, craft and art fair, and much more. The festival incorporates multiple venues on both sides of the Mississippi River, taking place at The Figge Art Museum, Rock Island Brewing Company, and Rozz-Tox. For full lineup, schedule, tickets, and artist profiles, visit allsensesfestival.com.